Because of the length of this, I’ll need to split it up and post it in sections. I don’t want it all to disappear, before I hit the “submit” button. I have used abbreviations for everyone’s name. K: I did my check about 10.00 ‘clock and went in through the sliding patio doors and I just stood, actually and I thought, oh, all quiet, and to be honest, I might have been tempted to turn round then, but I just noticed that the door, the bedroom door where the three children were sleeping, was open much further than we’d left it. I went to close it to about here and then as I got to here, it suddenly slammed and then as I opened it, it was then that I just thought, I’ll just look at the children and I could see S and A in the cot and then I was looking at M’s bed which was here and it was dark and I was looking and I was thinking, is that M or is that the bedding. and I couldn’t quite make her out. It sounds really stupid now, but at the time, I was thinking I didn’t want to put the light on cos I didn’t wanna wake them and literally, as I went back in, the curtains of the bedroom which were drawn,… were closed, … whoosh … It was like a gust of wind, kinda, just blew them open and cuddle cat was still there and her pink blanket was still there and then I knew straight away that she had, er, been taken, you know. 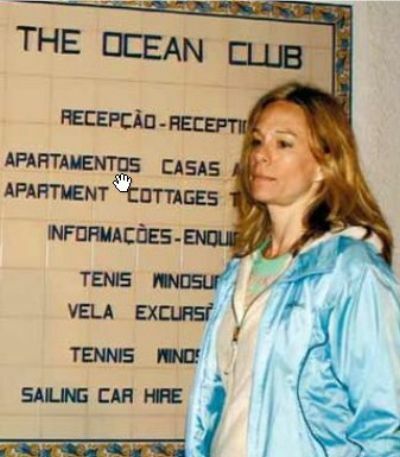 Voice over: It’s now 2 years since MM was abducted while on holiday in Portugal. Her parents, K&G live near L with M’s brother and sister, four year old twins, S&A. G: We are a family, and we’re a happy family, but we are not a complete family. KM: I think we’re far from normality. We’re far from normality but we’re closer than we were. K is painting the names of the three children. She asks the children what is the name of their sister. One of the children says the full name and the other child says the shortened version. K: I honestly believe they’re expecting her to come home, you know, one day soon. They are very much, well, when Madeleine comes back, we’ll share our toys and, you know, A is wearing Madeleine’s shoes. She’ll say well these shoes won’t fit M, now, so we’ll have to take her and get her a bigger pair of shoes when she gets home. You know. Voice over: K has given up her work as a GP and now stays at home with the twins. K: A lot of the places that I go now ,I used to go with Madeleine as well, so there’s little things that trigger, (mumble) like on the farm where we go quite a lot. You know, I can see Madeleine swinging on the rope in the hayloft. She was great, she was only three and she’d be like, you know, swinging backwards and forwards, you know. I can see her in the little, sort of, gypsy wagon that they had, asking me to come in and that’s hard. You get memories and reality hits in again. It’s like kinda, of, um, tangible void, really. Voice over: G has returned to work at GH, where he is a consultant cardiologist. G: Given the indefinite nature of what we are going through, you have to, at some point, say, I’m going to go back. Voice of Interviewer: Do you think you have both healed a bit. G: Healed is a diffi…adapted, I think, is probably the right word. There’s still, there’s a scar, a deep, deep scar there, that’s, kinda, knitted at the minute but you still think it might break or come loose and stitches (mumble) But, it is, er, definitely an er… adaptation. I think. G: There’ll always be a hope, you know, we’re living with this carrot, that potentially she could come back and I think, that makes it more painful, that you don’t know and that she’s, she’s, she’s out there and separated from you It’s less raw, erm, less painful on a day to day basis, erm, but, it’s still pretty painful. (Sighs) Erm, it’s different. Voice over: The second anniversary of M’s disappearance is approaching. K&G want to use the media attention to keep the search in the public’s mind. K: (in their study). It almost feels like the last, I guess, media opportunity. We really need to think about that, to get the right message out. Voice over: (very briefly, showing part of fm (download poster page ). The M’s are organising a series of events aimed at prompting fresh evidence, including a difficult trip back to the holiday resort. Voice over continues: A national TV appearance in the States and perhaps, most crucially a visit to the world’s leading child recovery expert. (shows E A). EA says we truly believe (shows the picture) this is what MM looks like today. Shows new image. G: She’s either out there or she’s not and there’s nothing to say that she’s not out there alive. So it’s simple, she’s out there until proven otherwise. Voice of Interviewer: Who actually is looking for M at the moment? G: Er, hopefully, lots of people, er, in the general population, but in terms of an investigative strategy, then there’s no law enforcement agency that is proactively doing anything. It’s pretty amazing really. Er, when you think about, it’s a very serious crime and, erm, we’ve got to do it. G: We’re not out making a fuss for the sake of it or to say, things were done badly or could have been done better. That’s not what we’re interested in. We’re not interested in looking back. What we want to do is look forward. Voice over: But there are two men still looking for Madeleine, ex-Detective Inspector DE is the senior Investigating Officer. He works alongside former Detective Sargeant A C. Both are now employed by the fm fund. AC: …given a really good description and what I’ve done is, I’ve made arrangements to go and see him on Tuesday morning. DE: I’ve inherited an investigation which is 18 months’ old. It’s a massive investigation. AC: For me, it’s quite simple, whether it be a high profile murder or any investigation. It’s a jigsaw puzzle and it’s just the case of putting little pieces in and that’s what we’re doing. You start at the beginning, you do the basics right and everything else comes together. and that’s what, we, hopefully, we’ve done. DE: One of the hypothesis would be, that it’s the parents that have done it, and it goes without saying, that’s looked at and I’m sure K&G understand that. If, we had any evidence that K&G were involved, we would hand it over to the authorities. Voice of Interviewer:: and did you find anything? 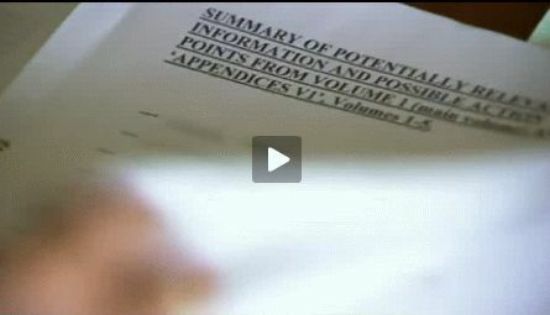 DE: No, nothing, not a shred of evidence that they were involved. AC: When I had the interview for the job, I made it quite clear that I would only take the job, if it was an independent investigation and if there’s evidence against anybody, no matter who it is, that we give that evidence to the police. Voice of interviewer: Do you work with different theories about what happened? Can you say what you think happened? DE: Well, the abduction theory is the main one that we’re focusing on. If a stranger kills a child or anyone for that matter, they almost, almost always dump the body within a very close proximity of the crime scene. Now this particular area around PdL has been systematically searched. The search was started on the night and continued for weeks and weeks and no body’s been found, so that gives me hope. Voice of Interviewer: What about if it was dumped in the sea? I mean that’s what most …. DE: That’s always possible of course. But, again, the sea quite often, you know, gives up the bodies. But no bodies have been found. So, I think that abduction is the most likely motive. Most likely done by an individual on their own. Most likely, an individual who has close links with PdL, which is why we focused all our efforts really, or most of our efforts, certainly on PdL. Voice over: Out of the hundreds of witnesses who came forward, only a handful are from the local Portuguese community. These are the people the investigators want to hear from so they plan to return to PdL and reconstruct key events surrounding M’s disappearance. Hoping to provoke a response. K: They used to come and just sit and get a haircut. (laughs). Seems hard to believe it’s actually busier now then it was a year ago. Voice of Interviewer:: Has the balance changed, because you’re not working in paid work. You’ve worked for most of your adult life. Voice of Interviewer: So, yes, that hasn’t changed? Voice over: The most likely sighting of M and her abductor was by JT, a friend of the Mc’s. In the files, K believes another witness statement from an Irish family, describes a very similar sighting to JT’s. Less than a mile from the Mc’s apartment. K: The reason why this is significant is, both sightings were given independently. So, when this family gave their statement they weren’t aware of J(T)’s description and there’s actually quite a lot of similarities and it does beg the question, I mean, how many people carry their children on a cold night, not covered, you know. Nothing on their arms, or their feet, no blanket. Now, either there’s been two people carrying children that way, who haven’t come forward to eliminate themselves or potentially they’re related. Voice of Interviewer: But, you think that child is M? K: I think it’s a good chance it could be M. Certainly, the description there, sounds to me, like M.
Voice over: K and the fm campaign co-ordinator travel to the search team’s offices. 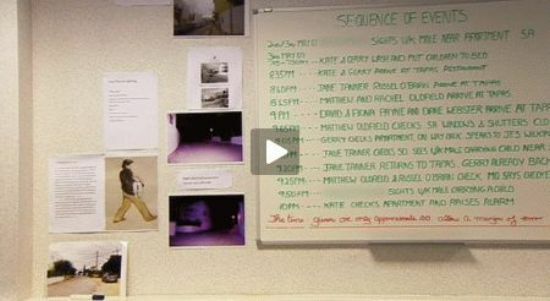 They want to discuss the details of the upcoming reconstructions and three potentially key witness statements, that all tell of a man hanging around the Mc’s apartment in the days leading up to May 3 2007. DE: The most important one, apart, obviously, from Jane, is sighting No. 3, the man in the alleyway at the back of the apartment. No.3 is definitely a very important sighting cos it links them. Voice over: The investigators have examined the statements from the three different witnesses and are now convinced that prior to M’s abduction, the Mc’s were being watched. The team hope this new information will give them the breakthrough they need. DE: You’d think, it’s gotta be the same person, wouldn’t you, really? AC: and all three say he was watching the apartment. DE: We’re here to discuss the pending reconstruction that we want done. K: So, basically, it looks like we’ve got five sightings, really. Two, a man with a child and three, just a suspicious individual. K: and three, the three with the suspicious, suspicious, of the suspicious (she seems to have developed a stutter) individual, kinda, tie in together. DE: They all tie in together. Fm campaign co-ordinator: They’re all at similar times and place. DE: There’s three in exactly the same location. I don’t know what the Portuguese authorities have done to actually eliminate these people from the enquiry. So, we’ve gotta presume that they haven’t done it and go with that. So, it’s just important, that we actually, we are accurate in what we know and make sure that that’s what we’re going with. No speculation. It’s gotta be the facts that we know and not try to fill in the gaps that we don’t know. K: I mean, I’d like to go back, but not for this, to be honest. It’s kinda, just below the surface and I just, you know, I’d be scared, I think, you know, to sort of open it open it up again, really, so. yeah. I think, it’s actually going through the scenario of that night, as well, you know. Erm, I mean, you know, even what I can remember of the night, you know. Seeing G, erm, that distraught, really, sobbing and on the floor. I mean, I suppose I’m concerned that that will, er, surface again. Voice over: K calls key witness JT, who has agreed to join G and the investigators in PdL for the reconstructions. K: “Oh, ok, pretty busy, (she laughs). Although, it’s quite good to be honest to be doing stuff and focused and it just sort of helps, you know, to be doing something positive thing. How you feeling about the weekend? I mean, I’m really nervous and I’m not going (laughs). Thank you very much by the way. No, I know, I know it’s a big step, but we appreciate it anyway so, thank you. K: Er, she’s trying not to think about it. She just said, erm, apart from the obvious emotional concern, she’s worried about the reaction of people locally. Voice over: Returning will be controversial. PdL was a popular family holiday resort, but things haven’t been the same since M’s abduction. K: I think regardless of what anybody thinks of me and G, and I’m a bit past caring now, really. But, you know, I think, people do feel for M and that’s the most important thing and they want M to be found and they want M to be well. There has been a question as to why now and I’d simply say, well M is still missing. Why not, now? You know. Voice of Interviewer: Do you feel there’s a lot riding on this weekend? K: I do, yeah, and I’m nervous. I’m nervous because I realise how important this is to do really. To get that bit of key information, I’m nervous that it’ll … all could get sabotaged or it could all go very wrong. Obviously, I don’t want that because it’s so important. G: We are desperate for this to be successful and to be done and hopefully it might be one call, t might be 10 calls, but that’s all it’ll take, it could be just one piece of information. DE: The offence was committed in PdL, that’s a simple fact. So, you don’t start an investigation in, er, Morocco or Spain or even Lisbon. This event’s happened in PdL. It’s a very self-contained resort and that’s where I think the answer is. Voice over: D E is leading the search for MM. 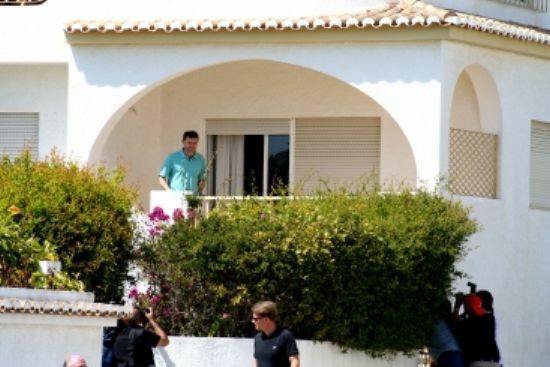 Today, he’s in PdL, on the Portuguese Algarve, to oversee filming of significant events described in witness statements. Statements, which he believes, strongly suggest that someone was watching the Mc family. He hopes that the reconstructions will lead to the discovering who that someone is. DE: He may even have been watching the apartment for a week or more. I don’t think it was someone random. In my experience random just doesn’t happen. Someone just doesn’t go in, … passerby, and pick up a child and take it. These things are planned. Witness 1: Child and woman walking. Voice over: Witness No. 1 is a British tourist. She first saw something strange four days before M disappeared. Witness 1: I was walking along the road with my daughter, when I saw a man. I grabbed my daughter’s hand and pulled her towards me because for some reason, he unnerved me. Witness 1: The next time I saw him, he was standing on the opposite side of the road to the apartment. He appeared to be watching it. He was about 5’10”, slim build and wearing casual clothes, jeans, I think. I would describe him as very ugly, pitted skin, with a large nose. DE: …and as you’re just passing here, this chap will be stood over there. So, if you just, you come up, if you just glance over at him and …. Voice over: The second witness is a school girl, who lives near the holiday complex. Three days before M was taken, she was with her mum outside the M’s apartment. Witness 2: I was walking to the school bus stop. I go this way to school every day. As I was walking down the road, near the apartment, I saw a man on the small path behind the block. My grandparents used to live in that apartment. So, I always look at it, as I pass by. 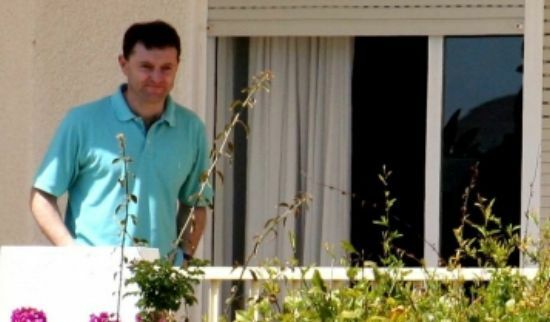 The man seemed to be looking at the balcony of the ground floor apartment. He was wearing a black jacket and leaning against the wall. Voice over: She saw him again, as well, the day before M was taken. Witness 2: I didn’t go to school that day because I had an ear infection. I was walking up the road with my two dogs, when I saw the man. He was standing on the road opposite the OC and he was staring at the apartment. DE: You have him coming from your apartment, which is over here, somewhere. You turn the corner and walk down the path. Lady witness (the couple) (Witness 3): What the two of us? DE: Yes, the two of you together. DE: This was actually a sketch that was drawn by the witness at the time and, er, as you can see, he’s just stood where we are now. (shows sketch the couple) Make eye contact with him and just walk straight on past. Voice over: Witness No 3 is a man with his partner from Cheshire. He gave a statement to the police describing a man he’d seen near the apartment. Witness 3 (Man) I can’t remember whether I saw the man on Wednesday 2 or Thursday 3 May (approximately 11.30). But as we walked along the road, I saw a man standing next to the wall by the parking area. On the opposite side of the road was a white van. I paid particular attention to him, because he appeared to be focused on watching the apartment block as I walked past him, I looked at him, and for a split second, we had eye contact but then he just carried on staring at the apartment. DE: We’re asking for people to come forward with information. For me, one of the big things in any major crime, the perpetrators always confide in someone else. They’ve gotta get it off their chest and it’s that person, as much as anything, that we’re aiming at. Someone knows something. Voice over: G is back in PdL. His arrival and the reconstructions are attracting a lot of media attention. But for the people who live here, it’s attention they can do without. G: This is an area that relies strongly on tourism and people’s livelihoods have been affected and I can totally understand when people are suffering economically, that they get resentful. But, hope they can understand as well, that as parents, we need to find M.
G: No one, even with a heart of stone, can take away that there’s a little girl missing. Why anyone would not want to help find her is a mystery and obviously if we find M, then everyone can move on. Voice over: He goes back to the Tapas Bar where they ate in the evenings, while the children slept in the apartment. G: I can’t remember exactly where the table was. It was kinda in this bit, so it’d be about around here and I was kinda sitting in this bit and K was here. Well, you could see where the shutters are now and the bit of the hedge, it’s grown. It was cut, you know, a couple of feet lower than that. Voice over: For the first time in two years, G returns to apartment 5a of the OC. Voice over: The last place where he saw his daughter, M, asleep in her bed. G: So, I actually came in and M was just at the top of the bed here, where I’d left her lying and the covers were folded down and she had her cuddle cat and blanket, were just by her head It’s terrible because, I , erm, had one of those really proud father moments, where I just thought, you know. I just thought, your absolutely beautiful and I love you and I just paused for a minute and then, I just pulled the door closed again and just to about there and, er, I felt incredibly proud standing there and having, you know, 3 beautiful children. That’s the, I think the most ironic thing of the lot, that, that momentary pause I had, at that door, that’s exactly what I felt like. You know, a few minutes before our world was essentially shattered and probably, 3 or 4 minutes before M was taken and we obviously, absolutely, er, what’s the word, persecuted ourselves for not being here and, erm, there is no doubt, that not being here at that moment, erm, increased the risk of it. Voice over: The Mc’s were on holiday with a group of friends. In the evenings, they all ate together and took it in turns to make half-hourly checks on each other’s children. 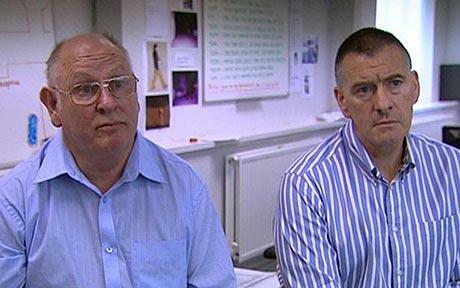 Two of the group, MO and JT, both crucial witnesses, have returned to help DE with the reconstructions. It’s believed that M was taken shortly after her father’s check at 9 o’clock. In the 45 minutes that followed, there were two significant sightings of a man carrying a young girl. The first was by JT. She was looking in on her sick daughter, when she saw G returning from his check. He was talking to a friend, JW, at the side of the road. However, J(T) and G remember the scene differently. JT: So, I think you were about here. Cos, I think that you were standing like that and, J(W) was there, with his pram, pointing down that way. Cos, I think if you’d been looking at me, I would’ve said something, cos I would’ve said about, cos K had been moaning that you’d been gone a long time watching the football. G: I’m almost certain that when I came out, I came over and he was here and I was like that. That’s my memory of it, it’s like J(W) is 6’3” or something and looking up and then turning in, when I finished. That’s my memory of it. JT: Yeah. I mean, well we just ……. DE: It’s like I said, there are, you know, inconsistencies, you know, in every major investigation. DE: Obviously, the most important thing is what you saw, Jane. It’s not where G and J(W) were actually stood. Because they didn’t obstruct your view of the man. So …. JT: I was walking up here to do the check and probably, as I got to , it’s hard to know exactly where, but probably, about here, I saw the man walk across the road there, carrying the child. I just got up and walked out the Tapas bar, past G talking to J(W). That’s when I saw somebody walk across the top of the road, carrying a child and I think, I did think, oh, there’s somebody taking their child home to bed. But, they didn’t look like a standard tourist. This is ridiculous isn’t it? It just looks so much like somebody abducting a little girl, when you look at it. It just looks so obvious when you know, you know. Just look at it and you think, why the hell didn’t you think there is somebody abducting a child. That was not even a thought, that somebody’s gonna go into an apartment and take a child out. You know, you’re probably the one person that could’ve actually stopped it and you think, oh, what if? It’s that what if? what if?, what if and you can take those what ifs to ad infinitum really. Voice over: At 9.30 pm, half an hour after G’s check it was MO’s turn to look in on all the children. He went into the Mc’s apartment, but didn’t go into the bedroom and so didn’t see if M was missing. G: Yeah, I mean, I was saying this earlier, that at no point, other than that night, did I go stick my head in. That was the only time, because the door was like that. I mean, I knew how I’d left it. MO: It’s more that you know I’d felt you’d done enough. You’ve been and seen. It’s quiet. G: Part of the reason we ended up coming through the back was the noise coming through the front door. We didn’t want to disturb them. Sigh. Stupid, now, isn’t it. Voice over: It is possible that JT is not the only person who saw M being carried away by the abductor. 40 minutes after J(T)’s sighting and ½ mile away from the Mc’s apartment a family also saw a man carrying a young girl away from the town. Later the witness thought that this might have been GM. But, this was investigated and ruled out by the Portuguese police. DE: A man was seen here carrying a child, just before 10 pm on the night M was abducted. When the man saw the family he appeared furtive and veered off to one side and carried on walking. Obviously, anyone carrying a child at night, it’s really important. We need to find out who this person was. Family Witness Statement: I was with my family. We’d been out for the night and we were walking up the street when I saw a man and he was carrying a child. I thought they were father and daughter, so I wasn’t so suspicious. The girl was about 4, she looked like my granddaughter, blonde hair, pale white skin, typically British. The man didn’t look like a tourist. I can’t explain why. It was, probably, from his clothes. G: Someone knows the information and someone knows who took M and someone knows where she is. Let’s get moving! Let’s get the phone ringing. Voice over: At home K is preparing for the inevitable media attention that will surround the second anniversary of M’s disappearance. K: ( Showing photo album) well this one. I think is really sweet and it’s M just when she arrived home from hospital, erm, to our house. I think she looks quite cute, wrapped up in a little bundle. She’s got those eyes. I tell you, those eyes that never closed. For us they’re not just photos and especially now, not having M in our life, they’re more than photos and to me, each photo is very special. I mean, it’s M and we’ve given out so much of our daughter to the world really. You know, you just want to be able to retain some of it. Voice of Interviewer: Are we allowed to see this one? Voice of Interviewer: Do you still feel her physically, as much as you did? K: Tut… well, I know the M that I know, you know. I don’t know M at, you know, nearly six. She might look different. She could be speaking a different language (Scene shows her packing for trip to States) She might have her hair different, she might have different interests, but, you know, she’s still our daughter. G: (holding up a suit). I think that’s pretty business-like isn’t it? Voice over: K&G are preparing for a trip to America that they hope will breathe new life into the search for M. As well as an interview on the OW show, they plan on visiting the world’s leading child recovery experts, who are creating an image of M aged six. EA: Circulating the photograph of, er, of a child, who was not quite four, two year’s later is not good enough. When, we started this 10 year’s ago. The goal was to use technology, er, to keep these cases alive. To provide new hope for parents and new leads for law enforcement and we said at the time, wouldn’t it be great if we could actually find one of these kids and we found 900 of them. Er, everyone of these 900 cases, the child had been missing at least two years. So, what we’ve tried to do is to take your photos, er, as a guide. Young children’s faces change very quickly. As you can see, she has her mother’s jawline. She has her mother’s mouth. It’s striking. She has her mother’s dimples. EA: This is you, as well. Exactly. EA: But G, she has your nose. G: The genes mix quite well. (Both laughing). EA: They really do. They really do. I mean it’s a remarkable example of the best of genetics. So, leaning heavily, on heredity, and using every tool we can find, we truly believe that this is what MM looks like today and we hope that somebody, that millions of somebodies will look at the picture, but, that somebody will be moved to reach out and say, I think I have information. K: It’s a very emotional thing, really, to see my daughter in a different way to how I remember her. Erm, so if I’m honest, initially, I, was quite upsetting and then I started to look at features and I thought, well, that’s definitely M and that bits M and, you know, yes, she is 2 year’s older. EA: Despite the love and the care you that you put into raising her, at that age, M may not know she’s missing. M may have been told, well, now you are supposed to come with me. So, we hope that other children will look at this. It’s not inconceivable that she’s in a classroom somewhere. The goal here is to reach out to people around the world and say. Somebody knows something and if you do, call us. Voice over: K&G now need to publicise this new image. The first step is to travel from Washington to Chicago for an interview on OWS, that will be broadcast in 144 countries. K: Nervous, but, it’s like anything we’ve done, you know, we’re doing it for a reason and the reason’s to held find M so just get on with it. G: I actually think there’s not much more else we can do right now. K: So I feel, we’ve all worked really hard. I think what we’ve done is positive and productive. I actually feel the chance of us finding M is higher now, it’s more likely to yield a result and I actually feel a little excited, really, about what we’ve just done so. G: I think it’s like, we want it out there, now. All the work’s been done and it’s all being co-ordinated round the anniversary. But we want it out and it’s just, let’s get moving. K: We just need that one person, there might be more than one person, but one person to come forward and say I’ve seen that girl or I remember something from that night and that could unravel the whole thing.